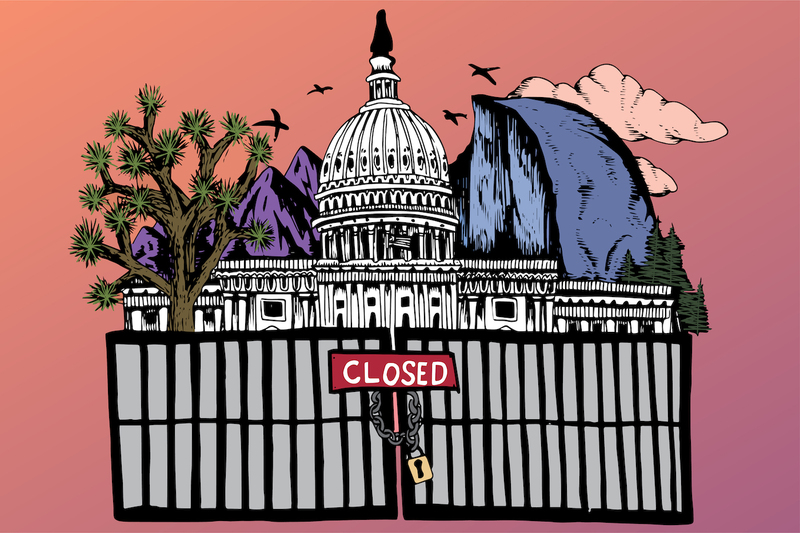 Trump’s decision to partially shutdown the government has stirred up many emotions in the country and the effects have stretched to Cal Poly’s campus. Environmental management and protection junior Shelby Littleton visited a few national parks over winter break and experienced the lack of public care firsthand. Littleton said she also visited Yosemite National Park, which was open to the public, although there were no entry fees. Due to the shutdown, however, there was limited management of the park. “There were people with dogs running around and a lot of the bathrooms were closed so people were just going to the bathroom wherever and it actually smelled pretty bad,” she said. Have you been personally affected by the government shutdown? Due to the shutdown, many national parks have since closed. National Park Service tweeted late Dec. 2018 that some areas are accessible, but access may change without notice. Environmental, earth and soil sciences junior Monique Rea expressed her personal thoughts on the situation; she said her biggest concern is that Trump is not focusing on benefiting the country in the long term. This shutdown has affected nine of 15 federal departments, including transportation, homeland security and commerce. The longest shutdown previously was in Dec. 1995 under Clinton’s administration at 21 days.